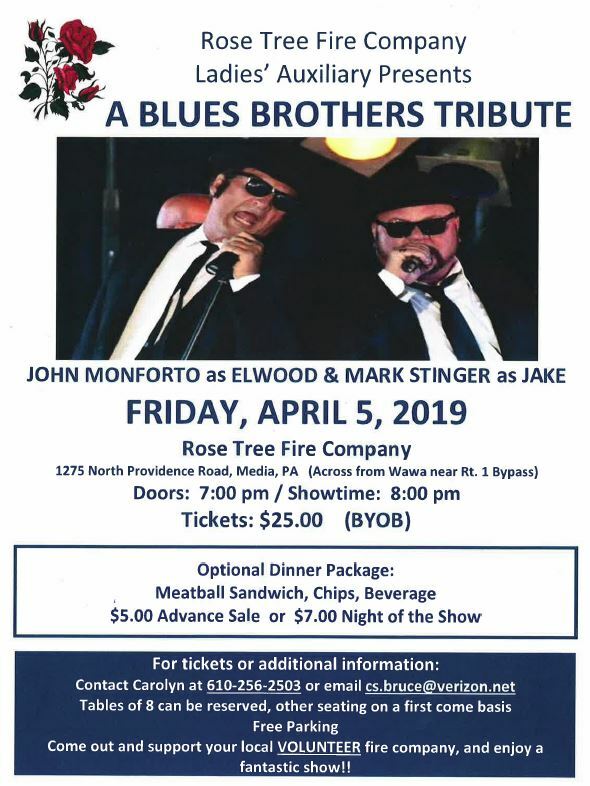 The Rose Tree Fire Company Ladies Auxiliary is hosting a “Blues Brothers Tribute” Night at the firehouse on Friday, April 5, 2019. Doors open at 7:00pm. Showtime: 8:00pm. Tickets are $25 per person. Selling fast! BYOB. There will be an optional dinner package (meatball sandwich/chips/soda) for $5 in advance/$7 at door. All proceeds benefit the fire company. Tables of 8 can be reserved, other seating is first come basis.